Every high-octane horsepower enthusiast is familiar with the muscle car formula: take a big motor, insert it into a lightweight chassis, then delete any creature comforts or other unnecessary accessories. What's left is just what you need to go very fast, and nothing else. 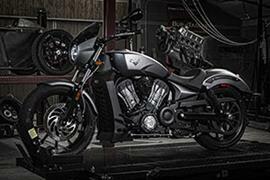 The all-new Victory Octane is the two-wheeled expression of that concept, with a modern twist. 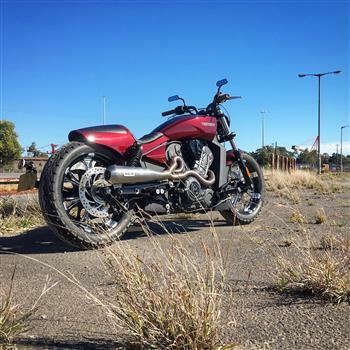 Attendees had the chance to go into the draw to win the major prize of an Indian Scout worth $20,000. Registering throughout the morning, four minor prize winners were drawn, who then had the opportunity to pick the one key out of a helmet that started the brand new Indian Scout. An ecstatic Mark Smith was the lucky winner who was joined on stage by Aussie rock legend and Indian ambassador Ian Moss to celebrate the moment.